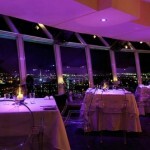 The UFO restaurant is probably one of the most luxurious restaurants in Bratislava. 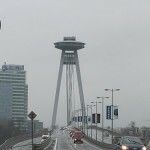 It also has the best location located as a UFO high above the middle of the Novy Most (New Bridge). 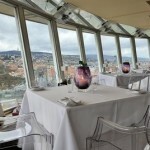 From the restaurant you will enjoy a great view and in the restaurant you can enjoy upper class fish food.